At Saint Rose, we’re honored to support the outstanding servicemen and women who are serving or who have served in the military. And because of that, we’ve put into place a number of programs to help you meet your educational and professional goals. Here are 10 benefits Saint Rose has to offer veterans (plus one more!). You are a dependent eligible for Transfer of Entitlement under the Post-9/11 GI Bill® based on the service eligibility criteria listed above. 2. We have a center devoted to veterans. Many veterans, once they’re pursuing an education at Saint Rose, find that they’re a bit older than their peers or have different goals based on their experiences in the military. In order to make our veterans feel connected, supported, and more comfortable, we opened the Veteran Center, where veterans like you can chat, study, wait for your next class, or just hang out. 3. We also have housing for veterans. Want to live with people who can relate to your own experiences in and out of the military? Saint Rose has devoted residential space to servicemen and women. 4. Check in with the V.A. every other Wednesday (if you want!). Saint Rose is proud to have the V.A. on campus to work with veterans every other week to ensure you’re being supported as you earn your degree. 5. 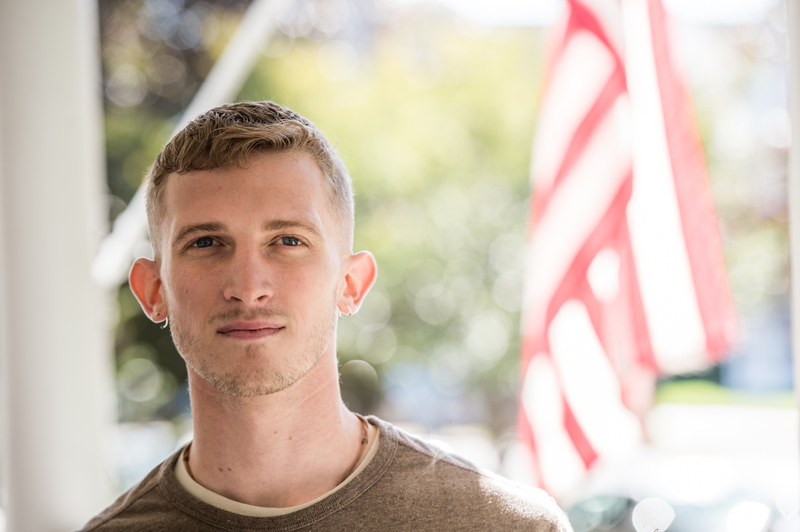 Our Student Veterans Association helps improve the integration of military members within the campus community for academic, social and personal success. Through the SVA, you’ll have access to many resources to help you as you go—plus, it’s a social organization, so you’ll meet good people to build on the camaraderie you were accustomed to in the service. 6. We have a dedicated Director of Veteran Enrollment. Only a veteran can understand the issues, challenges, and experiences of other veterans. Which is why we’re proud to have Martin Dinan, who retired from the U.S. Army, as our Director of Veteran Enrollment. He’s a veteran of three wars — deployed to the Persian Gulf in 1991 with later deployments to Iraq and Afghanistan. He was promoted to Colonel in the New York Army National Guard in 2013. He spent 19 years as a police officer, all while serving as a commissioned officer in various command and staff positions. He’s served in the active Army, the Reserves, and the National Guard. Plus, he graduated from Saint Rose with a degree in sociology in 1986. 7. It’s OK if your high school GPA wasn’t so great. We know your GPA before you went into the military doesn’t tell the whole story about you. That’s why we look at your experience in the military — what you did there, what you learned — when we evaluate your application. 8. We’ll help you figure out your benefits. As a United States veteran, you’re entitled to many benefits to help you through school, including Vocational Rehab (Chapter 31), the Montgomery GI Bill® (Chapter 30), the Reserve GI Bill® (Chapter 1606), and the NYS Veterans’ Tuition Award. How do you know which you qualify for, what they offer, and how you access them? We’ll help you figure all of that out. We’re your advocate. 9. You’ll walk in the door with a headstart. We accept up to 15 transfer credits from your military training, including a physical education credit from Basic Training. So you’ll be ahead of the game even before you start. 10. Earn extra money through the V.A. Work Study Program. Eligible students can earn up to $8,000 each academic year by helping other military family members. BONUS! 11. We’re an anchor site for FourBlock, a national nonprofit program that helps veterans fine-tune their career skills. We’ll pair you with companies like Amazon and Ayco, who are eager to hire you. Still have questions? Our Student Veteran Ambassadors are here to talk to you about their experiences as veterans at Saint Rose and answer your questions. So give them something to do! Get in touch here.